Virtual reality has gone from a sci-fi topic to part of what we expect from technology; virtual reality powers software that helps us study, play games, design and create beautiful things, and learn more about the world. At Yalantis, we always invest time into research projects that rely on new technologies, which is why we decided to create our own VR tour. VR tours are often used for educational and entertainment purposes. We created a simple VR tour just like those that are often used to introduce world-famous museums. a head-mounted display such as Google Cardboard or Hololens plus a smartphone. At Yalantis, we work with Samsung Gear and the Samsung Galaxy S6 Edge. 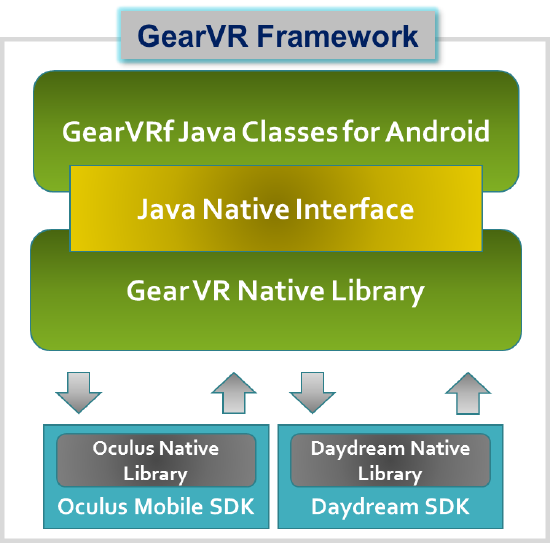 Gear VR Framework – a Java wrapper for the Oculus Mobile SDK and Google VR. This wrapper has a useful API and is well-documented; the best thing about this framework is that it allows us to develop applications for both Samsung Gear and Daydream at the same time. All these files can be downloaded from GitHub. After you’ve downloaded the files, you need to create a folder called libs and move them into it. We also need to add the Java OpenGL Math Library to our project. After all, libraries are added and before we start the development itself, we need to sign our application with the help of the Oculus Signature file (*.osig). This is necessary so we can launch our application without the head-mounted display. The Oculus Signature file (*.osig) can be generated with the help of the Osig generator. Settings → Applications → Application Manager → Gear VR Service → Storage → Manage Storage → Enable Developer Mode. As with any other Android application, you will need a launcher activity. It’s important to remember that our Activity has to inherit the GVRActivity class since this class contains all business logic that enables the proper functioning of the VR headset. In general, our activity serves as a point of entrance to the app, whereas most important things happen inside other components. This diagram shows all the main components of the VR application architecture. One level below these elements is GVRMain, which I would call the scene controller. GVRMain is responsible for switching from one scene to another and deleting them from the stack. The first one if the first method of the lifecycle, the second one is called at the end of the lifecycle. There’s also the onStep method that’s being called all the time. Usually, this helps track the number of frames per second. As you can see, these scenes are not enough to create a full-scale mobile app. We decided to create our own VR app using elements of the architecture described above. This app will be used for demonstrating virtual reality tours of various buildings and locations. The app will display simple three-dimensional scenes with virtual markers that indicate how to move to the next scene. We can start developing a VR app like this by aligning sets of data for our rooms that will be displayed in the app as well as for the markers. The Marker model includes x, y, and z coordinates, as well as an angle at which a mark will be turned in three-dimensional space and the name of the room this marker will open. It’s obvious that we need a separate class to initialize our data. We didn’t use any database, and initialization happens when the app is launched. For a small sample project like we did this wasn’t critical, but if you’re considering a large commercial VR project, it would require more thorough development of the data structure.The Room model only has two fields: a link to the resource (a spherical image of the room in our case) and a list of markers for the room. We decided that our VR tour would only include three rooms. To work with the data, we needed to create a universal scene that would represent any of these rooms. Let’s take a look at how this class functions. First of all, we’ll start with initializing the space. In essence, space here is the GVRSceneObject on which we overlay our texture. We also need to add a cursor to the makeEnviroment method since that will let the method interact with the environment. 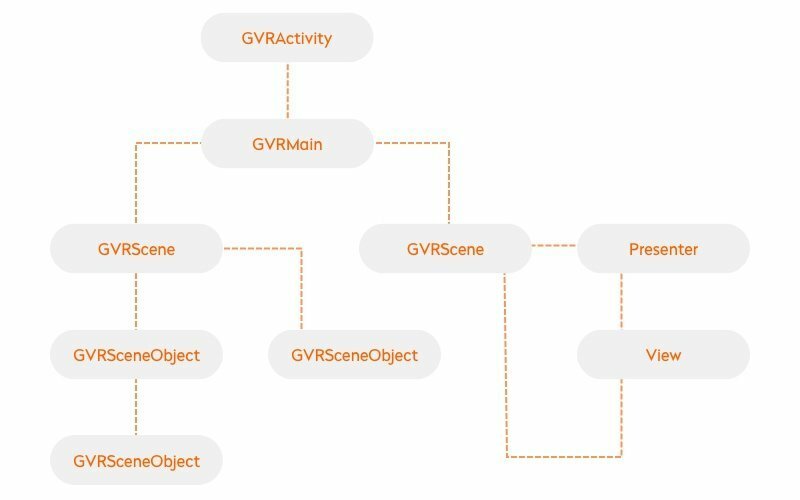 The cursor is also a GVRSceneObject; and once all objects are initialized, we can add them to the scene. For our VR tour to work, we need to add markers that will reload our scene to display a particular room. To do this, we need the makeMarkers method. Each marker is also a GVRSceneObject with a permanent texture. When your cursor hovers over an object, a listener appears. We implement this logic in the onPick method. This is where we animate the marker and reload the scene for a particular room. As a result, we have a virtual tour of our office.